Education in Canada is free (paid through tax dollars) until the age of 18, but what occurs after? What about post-secondary education for students who wish to attend college/university? The tuition fees can be noticeably large, and this has to be noted as the tuition isn't covered. Education in Canada is laid out in a streamlined manner up to grade 12, but after this point, the student is responsible for the financial aid. 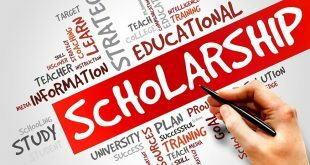 Therefore, it is recommended to work on all aspects of these scholarships and find a deal that is fair and in sync with what is desired.